As long-time readers will recall, I have been bully on the idea of sketching DSOs for a long time. I have been inspired by the careful observations and sketches of Doug Rennie and Terry Nakazono in particular. So I made up a blank observing form (which is now up on the sidebar here), printed out some copies, and decided to finally give it a shot. 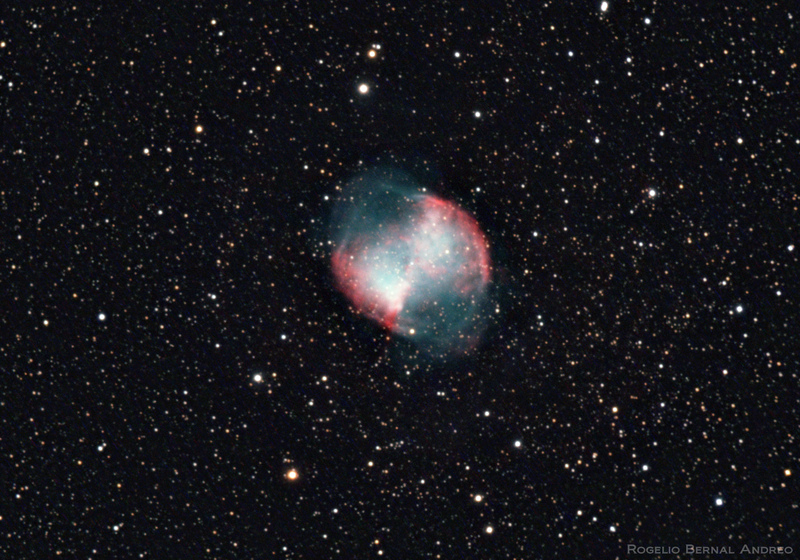 I was going to do M57 first, and kick off my much-discussed, long-delayed Suburban Messier project. 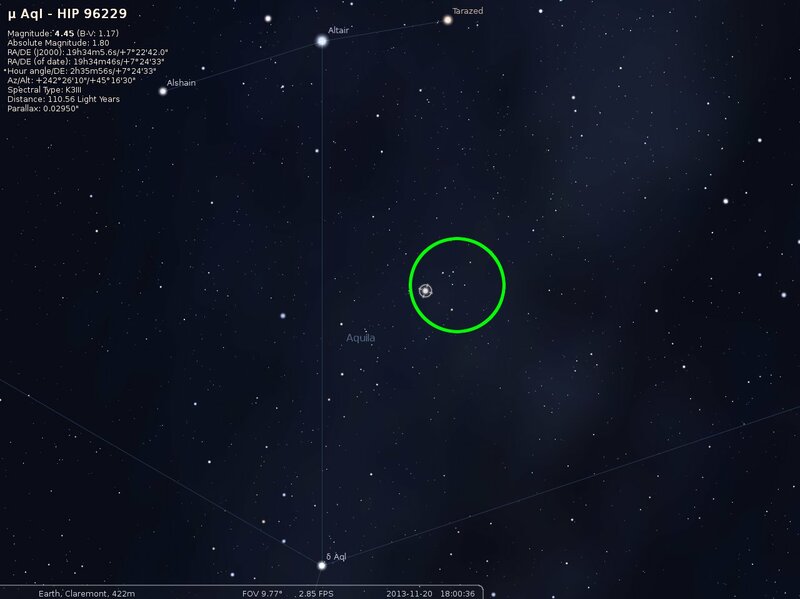 But I’d just been emailing with Doug and he’d recommended NGC 6633 as a rewarding open cluster for visual observation, and as I was flipping around in my Pocket Sky Atlas I noticed that it was well-placed high in the southeastern sky. I was rolling with the XT10. I figured that whatever target I went for, I’d want to capture as many background stars as possible, and the XT10 has much better light grasp and angular resolution than anything else I own. I started at moderate magnification with the 8-24mm zoom but kept backing out to try to get more context for the cluster, and I ended up with my trusty old 32mm Plossl. The transparency here was appalling. The sky looked clear, in that there was no naked-eye-visible haze or clouds, but it was very humid, and all of that water vapor in the air was bouncing back the city lights like crazy. The sky was about as bright as I have seen it without actual clouds up there. Here’s a measure of how humid it was – all of my exposed stuff dewed up! I don’t think that has ever happened to me here in Claremont. As far as my method – I was using a 0.5mm mechanical pencil and a click eraser. I started out by trying to frame the field of view with some bright ‘anchor’ stars and then interpolate between them to flesh things out. This proved frustrating – inevitably I’d get one region ‘starred in’ to my satisfaction and then see that its geometry was off compared to a neighboring section. So I did a fair amount of erasing and repositioning. On the first pass I was mainly trying to get the positions of the stars correct. Then while I was still at the eyepiece I went back and ‘brightened’ up some of the stars by drawing over them with slightly larger circles. I tried to sort them into about five bins, from the bright star south of the cluster, through the brightest anchor stars, the major cluster members, the minor cluster members, to the barely-theres. Finally, when I brought the drawing inside I touched up a few stars that were noticeably out-of-round. So the drawing you see here is the ‘rough’ drawing, but with about three layers of revision layered on top. I don’t know if this is good practice or not, it’s just what I did this time, pretty much making everything up as I went along. I can buy it. I wouldn’t have ever picked out that by myself, but I can see the shape in my drawing, and I didn’t know it was there when I was drawing it. So, I have rather mixed feelings about all of this. While I was doing the sketch, all I could think about was how difficult it was, and how badly I was screwing it up. But I’m fairly happy with the result – it is at least recognizable as NGC 6633 – and I know that I know that cluster and the surrounding starfield a lot better now. Probably better than I know any other single object. I can’t think of another time that I invested so much time and energy on a single observing target. Maybe this is the beginning of wisdom. 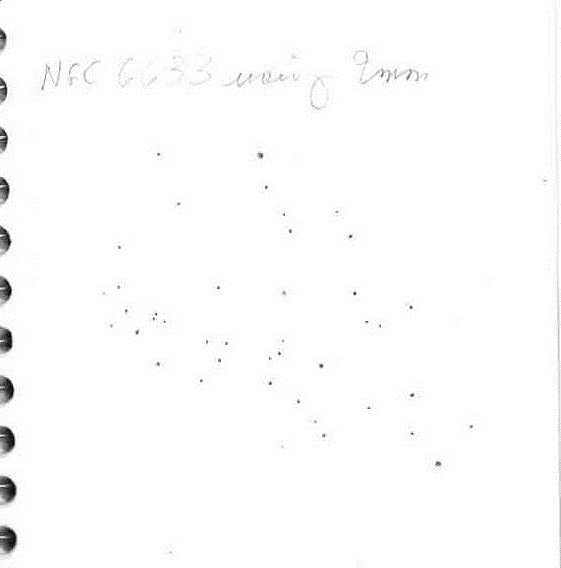 Here are a couple of sketches of NGC 6633 sent along by Terry Nakazono with permission to post. Thanks, Terry! 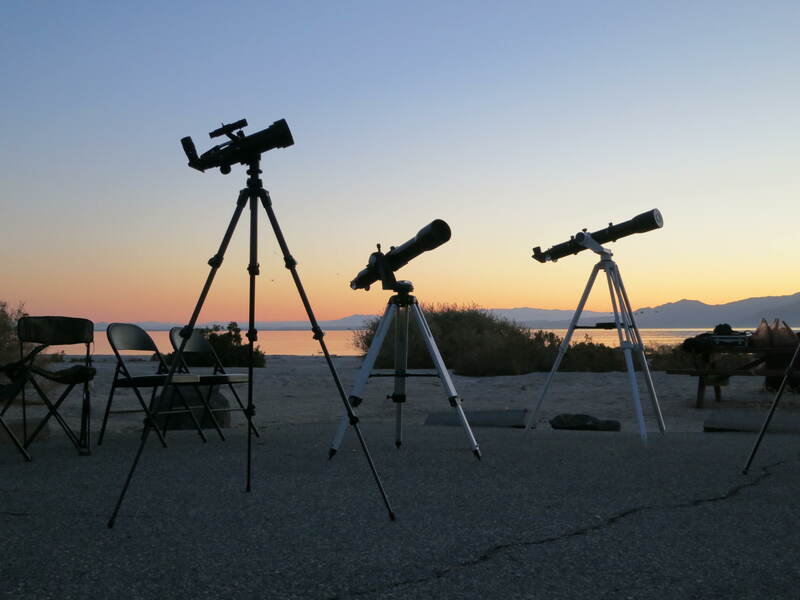 If it’s late October or early November, it must be time for the All-Arizona Star Party. London and I headed out for it this past Saturday, Oct. 25. 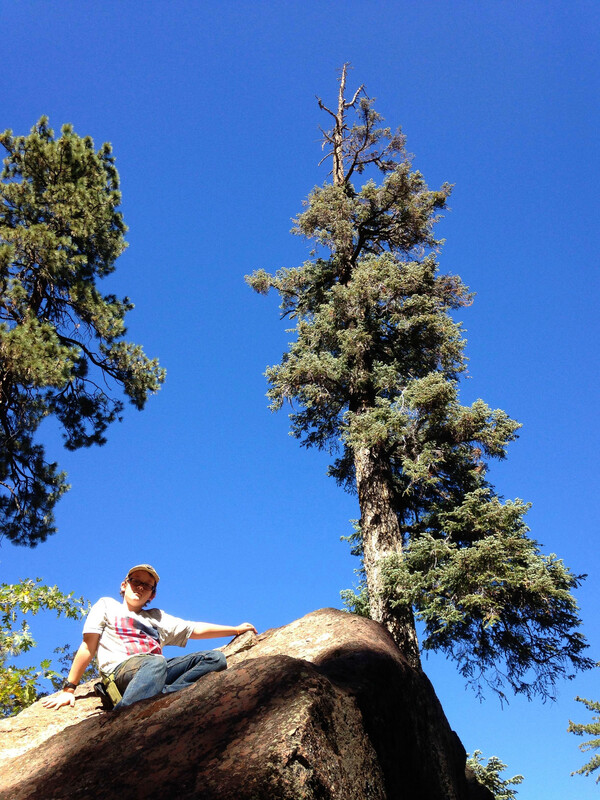 As in 2012, we were joined by the indefatigable Terry Nakazono. 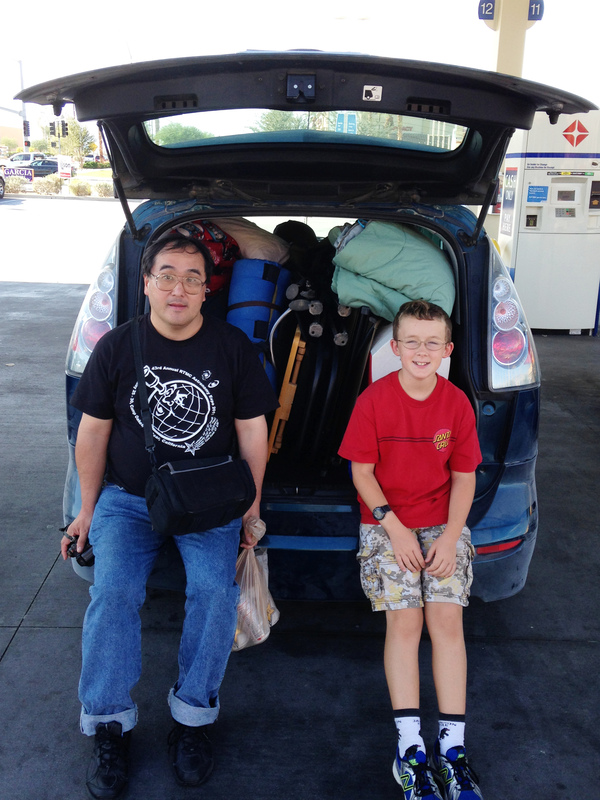 Here Terry and London pose for the obligatory “look how much crap we crammed into the car!” photo. We arrived at the site about an hour before sunset, plenty of time to set up camp and chat with the neighbors. As usual, we set up not far from Darrell Spencer and AJ Crayon, but irritatingly I failed to get a picture with Darrell, my first such lapse. When we arrived the sun was still well above the horizon and temperatures were in the mid-90s. London and I set up our scopes on the east side of the car so we could sit in the shade. Here London is tinkering with his AstroMedia 40mm “plumber’s telescope”, which we just built last week. More about that scope in a future post. The scope behind London was another AASP newcomer. 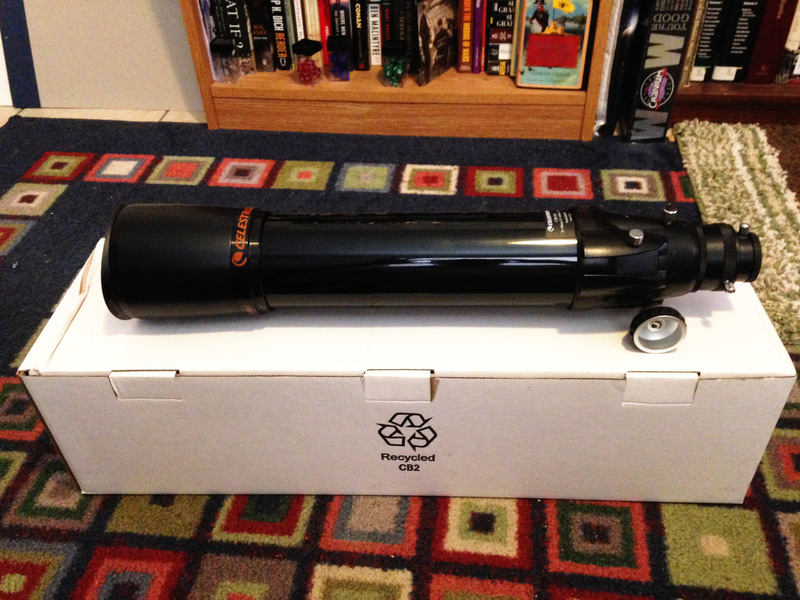 This is my new Celestron C80ED. This scope originally retailed for about $500. 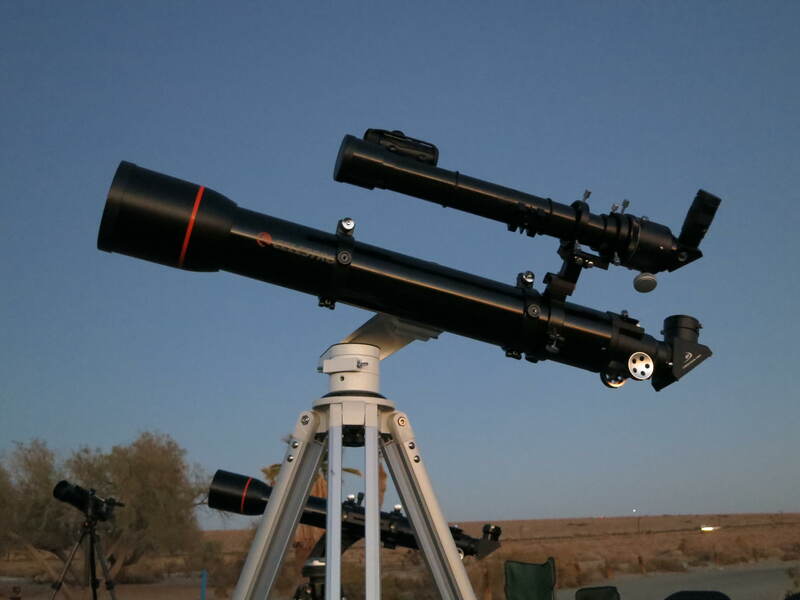 Celestron donated all of the remaining stock of the spotting scope version to Astronomers Without Borders, and AWB sells it for $350 with free shipping. Vicki got me one for our anniversary last week (and I got her some leather boots–in both cases, the choice of gift was, ahem, heavily influenced by the recipient). The package arrived on Thursday about half an hour before the partial solar eclipse was to start, so I just had time to take this photo before I ran out the door to London’s school. I got this scope because it filled a hole in my lineup. My Maks have sharp optics but can’t do wide fields. The TravelScope 70 can do wide fields but still has limitations, even after its tune-up. And the C102 is a wonderful scope but not exactly small, and although its chromatic aberration is minimal it is still there. I figured a small ED scope could be a grab-n-go that could deliver wide fields like the TS70, take magnification on planets and double stars like the Maks, in a more convenient and false-color-free package than the C102. Plus I’d just always wanted to try an ED scope. I was going to get an AstroTech AT72ED but they are out of stock and have been for ages. The C80ED offered a small but significant aperture boost for less dough, so I bit–or rather, encouraged Vicki to do so. I was going to bring both the C102 and the C80ED, but as the date got closer I decided that what I really wanted to do was put the C80ED through its paces under those dark Arizona skies, and another scope would just be a distraction. I had briefly set up the C80ED on Friday night to make sure the scope didn’t have anything seriously wrong. It didn’t–in fact, it star-tests as well as any scope I’ve ever owned. Turns out we were all rolling with small refractors. From left to right they are the C80ED, London’s 60mm Meade refractor, Terry’s Orion Short-Tube 80, and London’s 20×50 Orion spotting scope (reviewed here). Terry had been going to bring a 4.5-inch reflector but the Clear Sky Chart said that conditions were iffy. 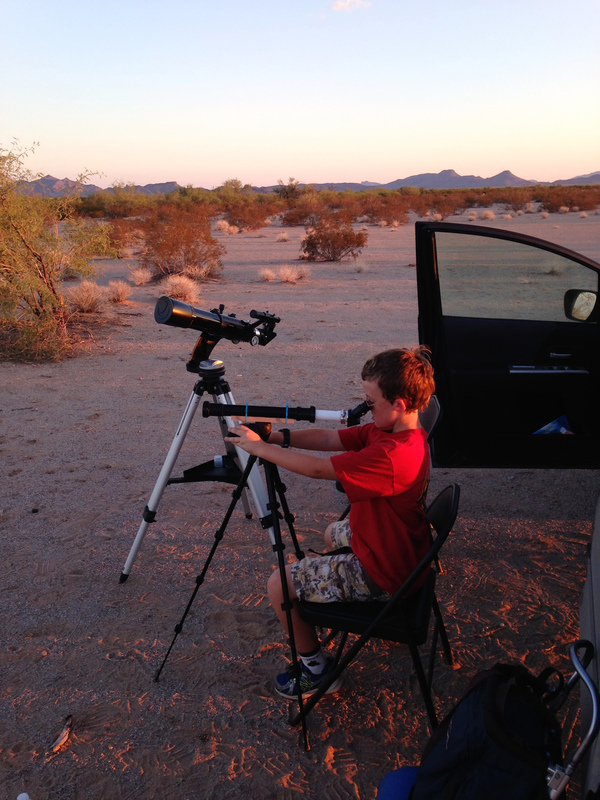 Also, like me he had been interested to see how deep he could push a small refractor under dark skies. Incidentally, after bringing my XT10 to the AASP in 2010 and 2012, I brought the Apex 127 last year and now an 80mm refractor this year. At this rate, in a couple more years I’ll be down to bringing just a finderscope. (I jest, but I have had a longstanding interest in going to a dark site with only the SV50 or GalileoScope to see how many things I could see with a small scope under dark skies–so far, greed for photons has always won out, so this project remains unattempted). 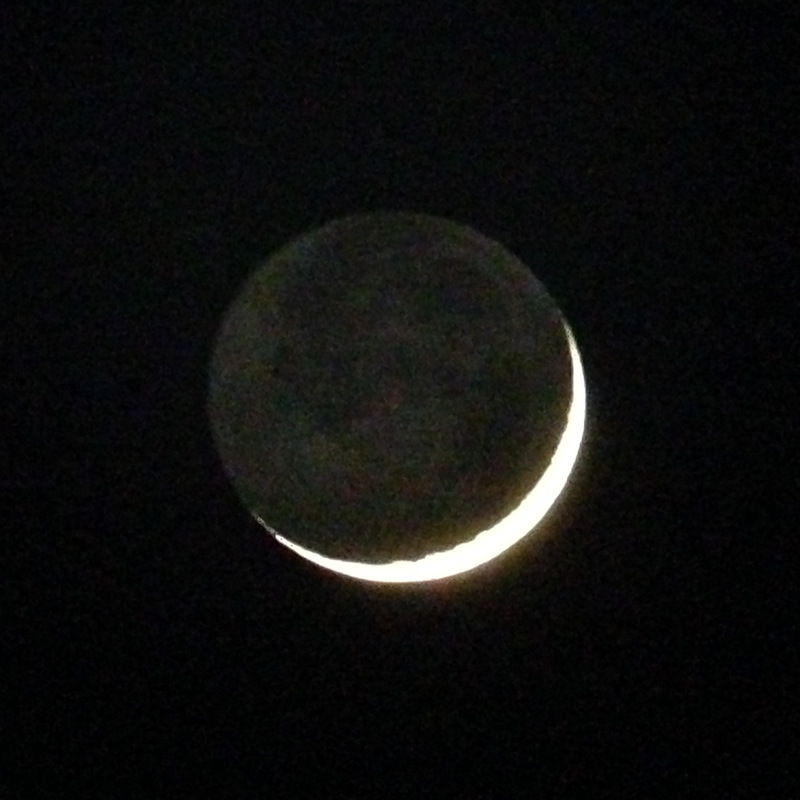 Our first target of the evening was the waxing crescent moon. I got a few shots with the iPhone shooting through the C80ED. Here’s the best one. All I did was crop it and flip it left to right–other than the orientation change, the actual pixels have not been tinkered with at all. Note the absence of false color. I also put the scope on Vega early in the evening and could not detect any false color–very impressive. 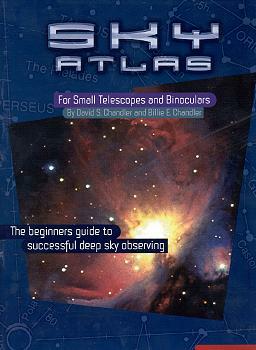 to the extent that I could, test the scope on challenging targets like globular clusters and close double stars. And that is more or less what I actually did. A word about the sky conditions before I get into actual observations: they were not fantastic. Seeing was lousy the whole night, with the stars twinkling visibly all over the sky. Transparency was good in the early evening but around 9 or 10 a very light haze set in across the whole sky. It wasn’t ghastly, but it noticeably knocked down the contrast–where the Milky Way had blazed overhead at 8:00, by 10:00 it was just sort of there, visible but not nearly as prominent. In my notebook, I rated the seeing at 2 out of 5 and the transparency at 3 out of 5. I did use a 32mm Plossl to drop the power down to 18.75x to see if Polaris could still be split (it couldn’t, but read on), and I used a Barlow once. Other than that, it was just these four, and out of these four, I used the 24mm and 8.8mm EPs significantly more than the other two. I had planned to use the 8-24mm Celestron zoom, but in testing the scope Friday night, I could tell that the Explore Scientific eyepieces were noticeably sharper. Good heavens, I think I’m turning into a refractor weenie and an eyepiece snob. After the moon we visited Mars, but it was tiny and featureless and fairly burning in the bad seeing. Then I swung next door to Sagittarius and got my first surprise of the evening: the big glob, M22, was partially resolved even at 25x with the ES68! I love globs–they are one of my chief joys in observing with the XT10, and I expected them to be dim, featureless cottonballs in the C80ED. That I was getting partial resolution on one in a small scope at low power was pretty arresting. I had a quick look at M28, M8, and M24, and then helped London get his 60mm on target on M22, M28, and M8. London was interested in seeing a double star so we wheeled the scopes around and had a look at Mizar and Alcor. Then we looked at M13, M57, the Pleiades, the Double Cluster, and Stock 2 in his 60mm. After all that, London went to lie in the lounge chair and watch for shooting stars–he got 17 before he went to sleep around 10:30. I went on to M13, the Great Globular Cluster in Hercules, and had my socks knocked off. Like M22, it was partially resolved even at 25x, and much better at 68x and 100x. It wasn’t fully resolved, of course, and the XT10 will blow away the C80 on this or any other glob, but it was at least a ball of many, many stars and not just a fuzzy blob. Here’s one of the nice things about widefield eyepieces and short focal length scopes: you get huge fields even at reasonable magnifications. At 68x in the 8.8mm ES82, I could park M13 comfortably inside the field stop and watch it drift across the field of view for more than four minutes. Even at 100x in the 6mm Expanse, I could watch the cluster drift across the center of the field for a bit over two minutes. I commented to Terry that if I hadn’t had other things I wanted to see, I could have kept watching M13 all evening and been very happy. Lyra was still pretty high overhead so I went there next. Epsilon Lyrae was shimmering in the bad seeing. It was elongated at 68x and almost split at 100x, but I had to Barlow it up to 200x to get a clean split. You may recall that under better conditions, the TravelScope 70 split the Double-Double at 133x, and I know that it is often split at well under 100x by high quality small refractors. So the high magnification required for the split here reflects more on the quality of the seeing than on the quality of the telescope. I’m looking forward to seeing how the C80ED performs on Epsilon Lyrae on a better night. M13 was probably my favorite view of the night, but a close runner-up was M57, the Ring Nebula. It was clearly ring-like at 68x, but I liked it even better at 25x–the expansive 2.7-degree field of the ES68 showed the nebula nicely framed between Beta and Gamma Lyrae (the stars that mark the south end of the constellation stick-figure) and their attendant stars. It reminded me of the view of the Ring at 12.5x in the TravelScope 70 back in 2012, which is what got me into refractors in the first place. After that I spent a few pleasant minutes rocking through the Lyra-Cygnus-Sagitta axis, observing M56, Albireo, Brocchi’s Coathanger (Cr 399), M71, and M27. Interestingly, the view of the M27 was very similar to the one I had through the C102 at the Salton Sea last year: I could not only see the “apple core” extensions, but also some of the “football” nebulosity between those extensions. That is a lot of nebulosity to pick up in an 80mm scope. I wonder what I could see on a night with better transparency. M15 – tough nut to crack. Starting to look grainy at 100x. Also pretty grainy at 68x in 8.8mm ES82. Even though it only gives about 2/3 the magnification of the 6mm Expanse, I think the 8.8mm ES82 shows almost as much. It’s just a superior piece of glass. Another ES82 or 68 in the 3-5mm range should be priority. Now, this idea that the 6mm Expanse is maybe not 100% awesome–hold onto that thought, we’ll revisit it at the end of the evening. Ever since my incredible Salton Sea run with David DeLano last fall, I have been painfully aware of how much I’ve neglected the southern sky. So from 10:45 to 12:30, that’s where I went. My first southern target was NGC 7293, the Helix Nebula. It was dead easy to see once I got there, but it took me an unusual amount of faffing about to get on target. I was using the 6×30 straight-through correct-image finder that came with the C80ED. I’m normally a RACI man so using a straight-through finder took some getting used to. But I kinda like it, now that I have the hang of it. 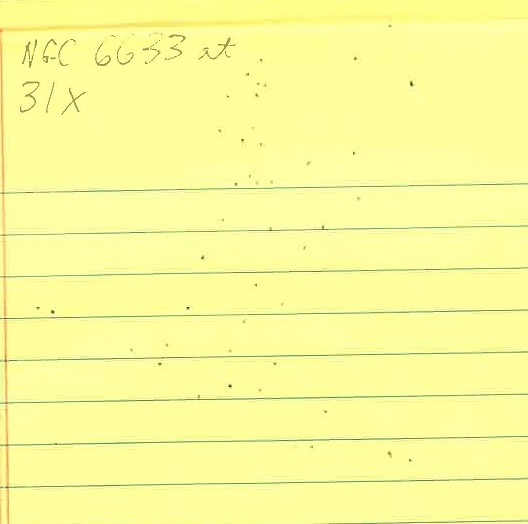 After that it was onto some galaxies and planetaries: NGCs 55, 300, 288, 253, 247, 246, 720, and 779. NGC 288 and NGC 253 were nicely framed in the same field. NGC 288 is a globular cluster circling our own Milky Way galaxy, about 29,000 light years away, whereas NGC 253, the Silver Coin galaxy, is 11.4 million light years away, almost 400 times farther, and rivals our own Milky Way in size. So that pair has a bit of the M97/M108 ‘odd couple’ thing going on. The not-quite-edge-on galaxies NGC 720 and NGC 779 were my only new objects for the evening. Both of them are on the Herschel 400 list, and bring my H400 tally to 175. 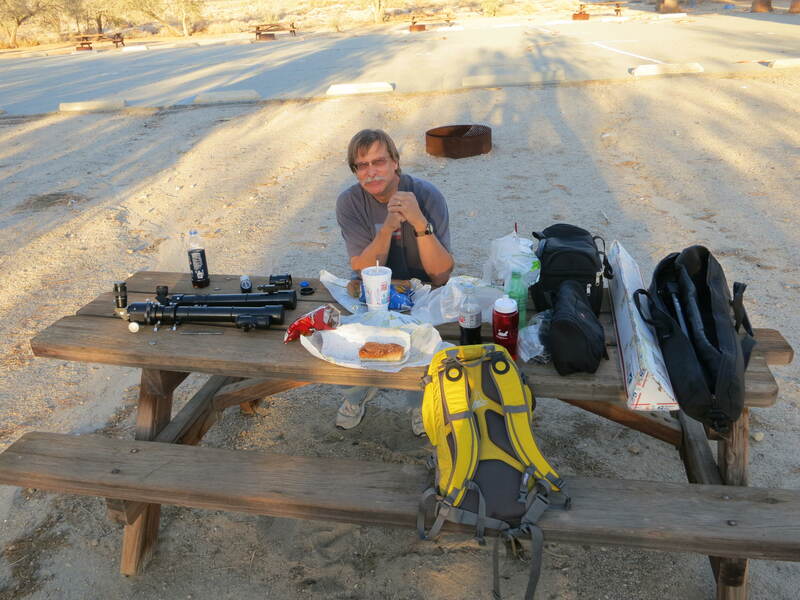 I am starting to wonder if I will ever finish the Herschels–the only new ones I’ve notched in the past couple of years have been bagged at the All-Arizona Star Party. I gotta get out in the spring more. I’ve just about exhausted the fall Herschels, but there are hundreds of spring galaxies to observe in Ursa Major and the Virgo-Coma Cluster. After almost two hours of faint fuzzies, I was ready for a change of pace. 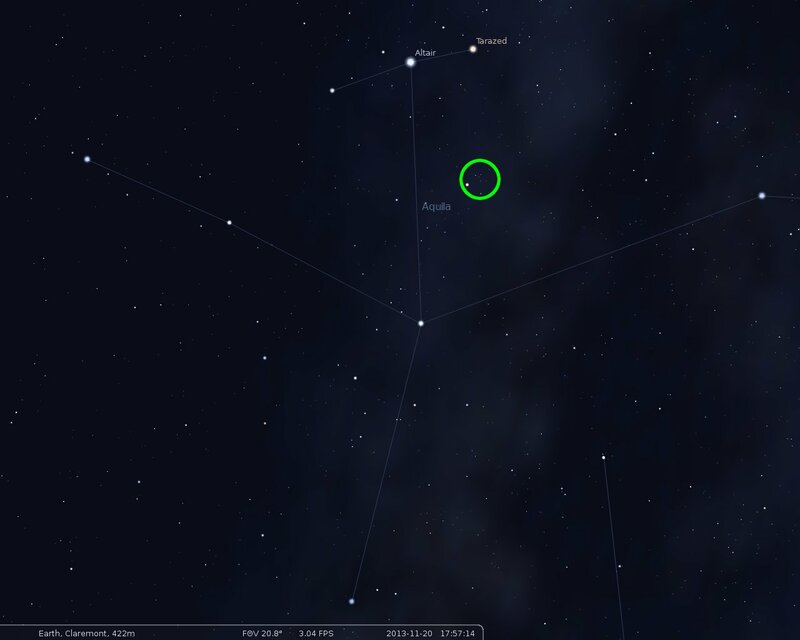 I turned east, toward Orion. The view was pretty great–the Trapezium was split into four components at only 25x, and the nebulosity seemed to go on forever. 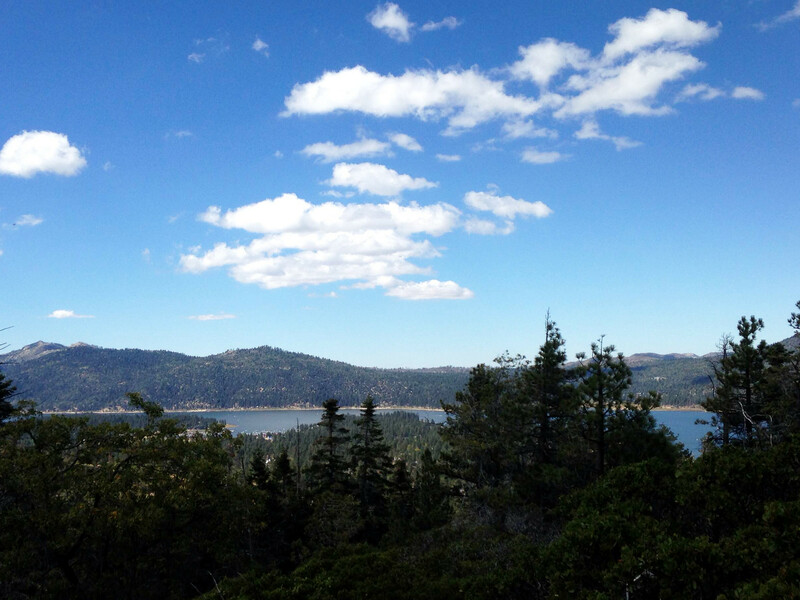 And yet, the subtle gradations in the nebulosity did not seem as pronounced as I had observed on other nights. Terry noticed the same thing observing Orion through his ST80. He thinks that the poor transparency was leaching some of the contrast out of the view, and I am inclined to agree. 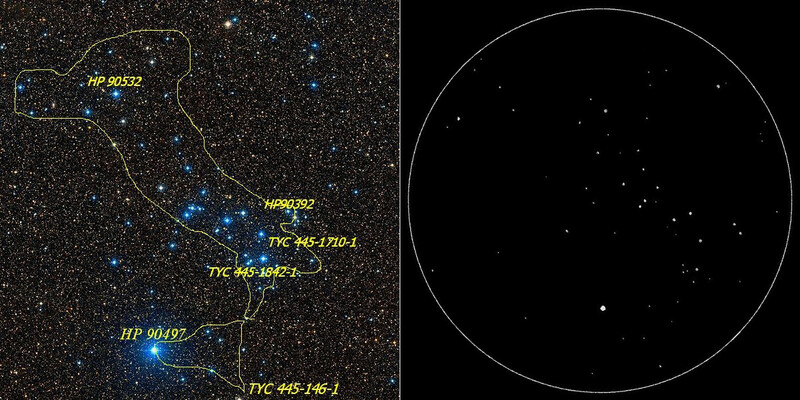 Without a doubt, the strangest observation of the night was of NGC 1980, the field of nebulosity around Iota Orionis. When I looked right at the nebula, it was steady, but when I looked back at M42/M43, NGC 1980 would flicker in my averted vision like a bad fluorescent bulb. At first I thought maybe it was just my eyes, but I called Terry over and he reported seeing the same effect. Now, I don’t think that the nebula was actually flickering. I suspect that through some quirk of eye/visual system physiology, it only seemed to flicker in averted vision. Just to rule out the obvious distractors: we were parked on the very east end of the airstrip so there was probably no-one between us and Phoenix. 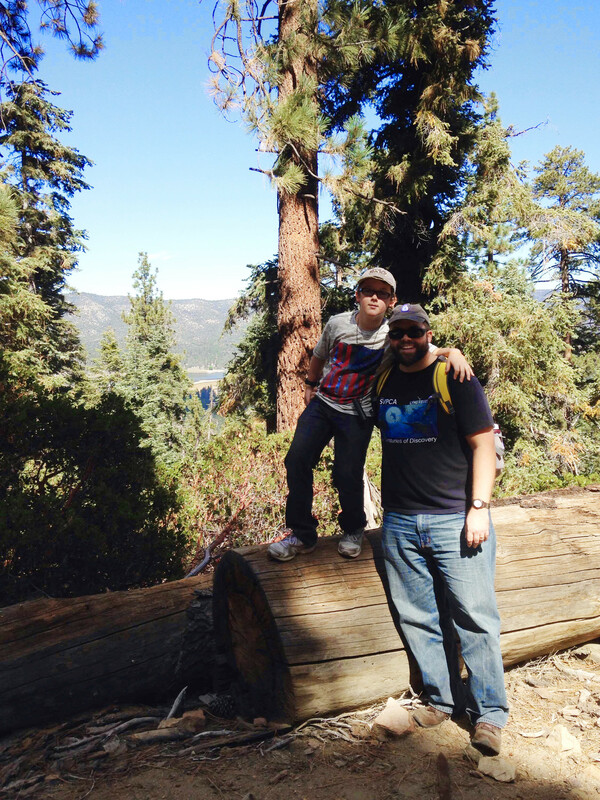 Neither of us were using flashlights or any electrical gear at all while we were observing in Orion. Our nearest neighbors were about 50 yards to the NW and SW, and they’d all turned in for the night. So I’m about as certain as I can be that it wasn’t some terrestrial source that just happened to be shining into the eyepiece or objective lens. Also, we only noticed the flickering on NGC 1980, and not on the extended “wings” of nebulosity from M42, which were of similar brightness at their extremities. Has anyone else seen anything like this, either for NGC 1980 or other DSOs? If so, I’d love to hear about it–the comment thread is open. After Orion’s Sword I bounced around a few northern Messiers–M78, M1, M35 with NGC 2158 just starting to resolve behind it, M81 and M82 in the same field, and M97 and M108 in their own field. Midway through that tour I stopped to split Polaris. It was continuously split at 24x in the 24mm ES82, not split at 18.75x in the 32mm Plossl. This illustrates just how seeing-dependent double star splitting is–Friday night from my driveway, the seeing was even worse, and that evening Polaris was not continuously split at 25x, but it was a 43x in the 14mm ES82, and even at 28.5x in the 21mm Stratus. As indicated above, the seeing out in Arizona Saturday night was not awesome. One of my quests with the C80ED is to see how low I can go, magnification-wise, and still get clean splits on some of the classic double stars. Watch this space. M97 and M108 were my last DSOs of the evening. After that I turned to Jupiter, and even at 68x I could see at least 4 belts. The Galilean moons were spaced about evenly, two on each side of the planet. Terry and I compared views of the planet through the C80ED and his ST80. We could get similar magnifications with our favorite short eyepieces: the 8.8mm ES82 gave 68x in the C80ED (FL = 600mm), and the 6mm Expanse gave 67x in the ST80 (FL = 400mm). So how did the scopes compare? Well, obviously the ST80 was throwing up a lot of false color, but I could detect the same four belts that I could in the C80ED, albeit not quite as crisply. 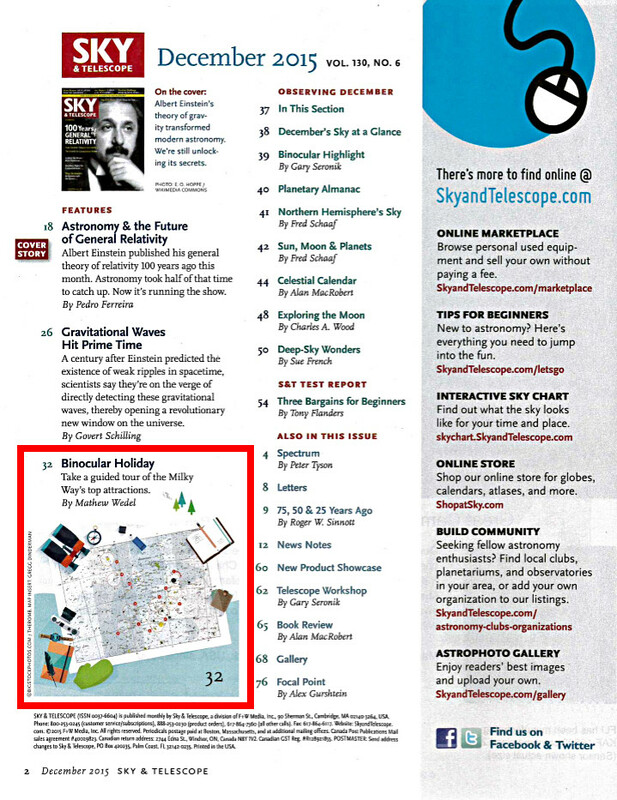 More informative was the comparison of eyepieces. Terry had a 6mm Expanse clone from AgenaAstro.com. While were swapping all of these eyepieces between the two scopes–the 8.8 ES82, the 6mm Expanse, and the 6mm Expanse clone–I noticed something I had never spotted before: the 6mm Expanse threw up a huge circle of glare around Jupiter. Perfectly circular, like a lens flare, centered on Jupiter, and spanning out to the outermost moon on each side. The glare circle was there in the 6mm Expanse in both scopes. 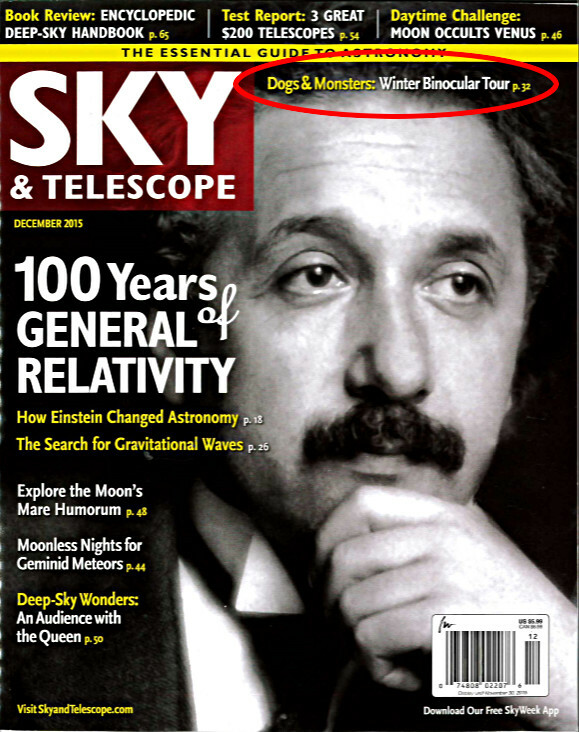 It was not there in either scope in the ES82, nor in the AgenaAstro Expanse clone. These are the Agena Enhanced Wide Angle (EWA) 6mm, which goes for $45 (you can find it here), and the 6mm Orion Expanse, list price $68, street about $59. So if you’re in the market for a 66-degree EP, you can save about 25% and get noticeably better performance from the Agena version. I’m tempted to get one myself, and hock the Orion EP. Until now, the 6mm Expanse has been one of my most-used EPs, but now that I can see its faults…like I said, eyepiece snobbery is taking hold. After one last look at Jupiter in the ES82 at 3:00 AM, I shut down and went to bed. The next morning, London and I went on our customary “bone hike”, and we did find several bones, including a couple of cow limb bones, and the jackrabbit lower jaw shown in the photo. 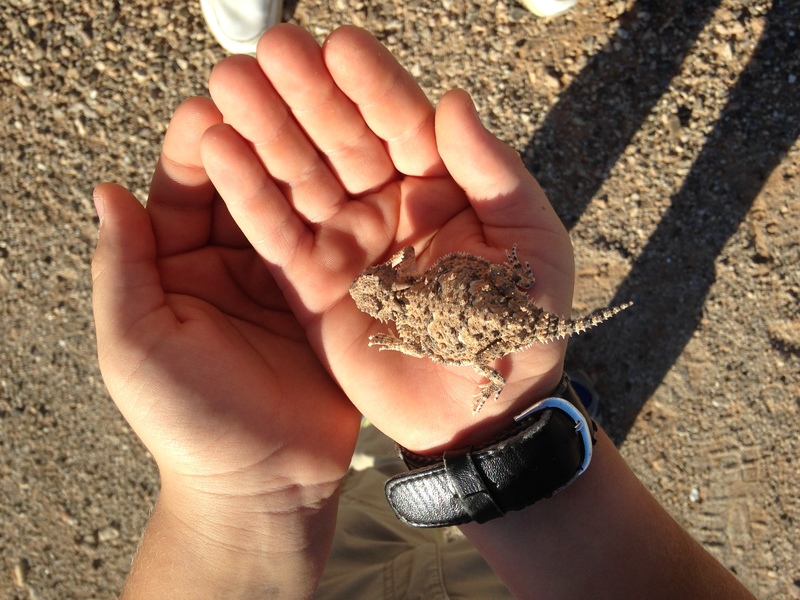 More exciting were the Western diamondback rattlesnake and the horned lizard that we found. …plus a couple of meteors. Irritatingly, I realized later that I had completely missed out on some real gems. I never once pointed the scope at the Andromeda galaxy or its satellites–detail in M31 would have been a good test of the C80’s optics. 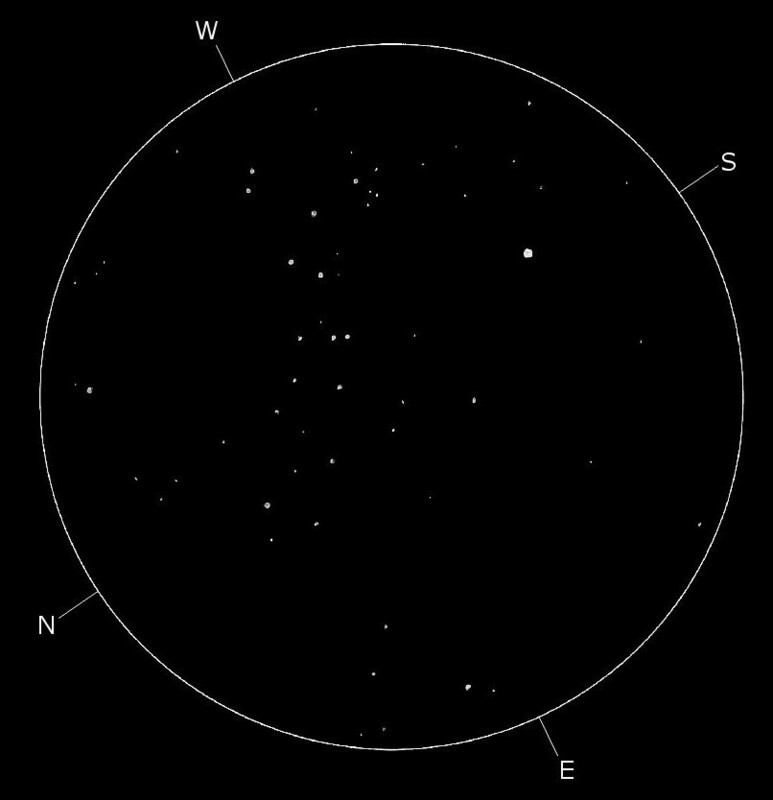 And I skipped the nice open clusters in Auriga–M36, M37, and M38–which maybe more than any other set of clusters give that “diamonds on black velvet” feeling in a sharp telescope. We set up early enough that I could have rocked through all of the Sagittarius Messiers instead of the handful I actually saw, but I deliberately traded that time away to help London find some things, so I don’t feel bad about that particular omission. The others are a bit galling. Even with those omissions, I still met all of the goals that I had set for myself: I got in some good observing time with London, I had fun touring the southern skies, even if most of the things I saw there were revisits, and I both got a feel for how the scope performed on average targets, and got to push it on some challenging ones. 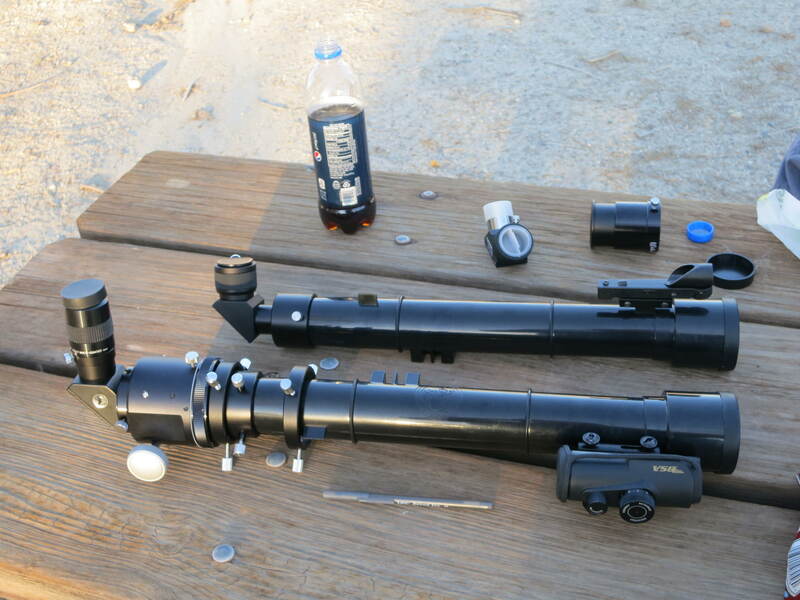 The biggest revelation to me was that an 80mm scope would start to crack open some of the bigger globs. M13 and M22 didn’t just look good, they looked stunning. I wish I was observing them right now. In sum, a great night of stargazing, and a pretty thorough field test for the C80ED. I think I am going to have a LOT of fun with this scope. You are currently browsing the archives for the Deep sky observing category.